Are you in the market to buy property? What about a place that looks like the ideal site for a classic murder mystery dinner party? With its luxe dining room, this 4,000 square feet space has six bedrooms and six and a half bathrooms. According to Curbed, the amenities include a 2k sq ft Exterior Deck, Media Room, Office and a Library/Den. 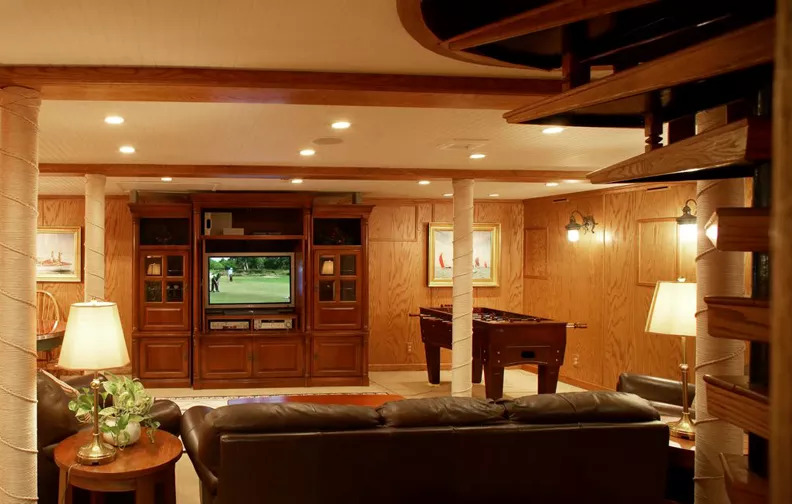 Potential uses include a private residence or it could be rented out for chartered or corporate events. 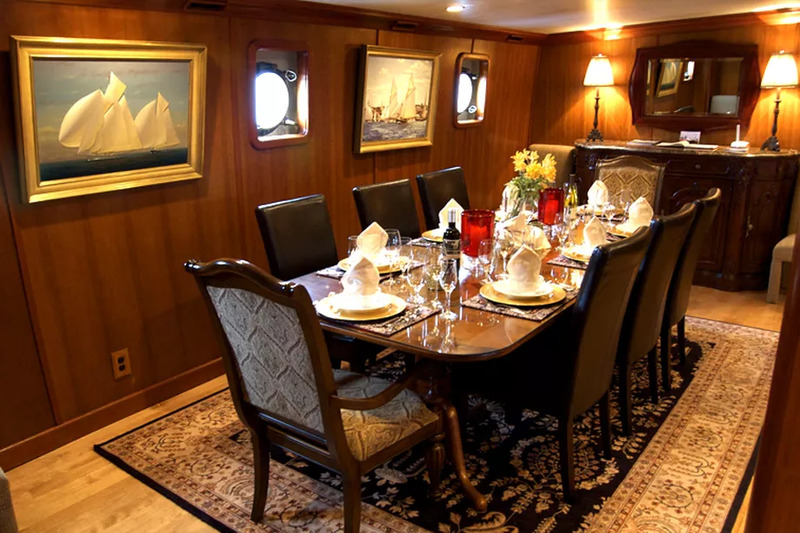 What's surprising is that all this luxury, exists on a ship currently docked off Boston’s Commercial Wharf. 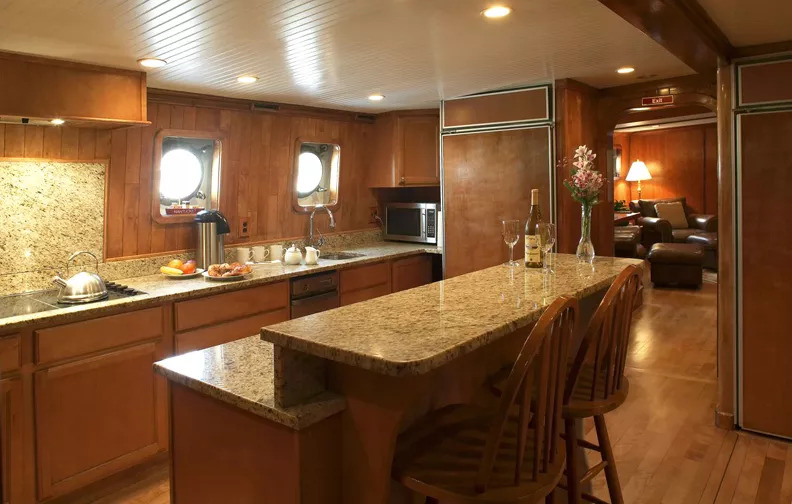 “Highly-skilled carpenters were commissioned to build the interior in a manner maintaining the structural integrity of the ship,” says the listing. 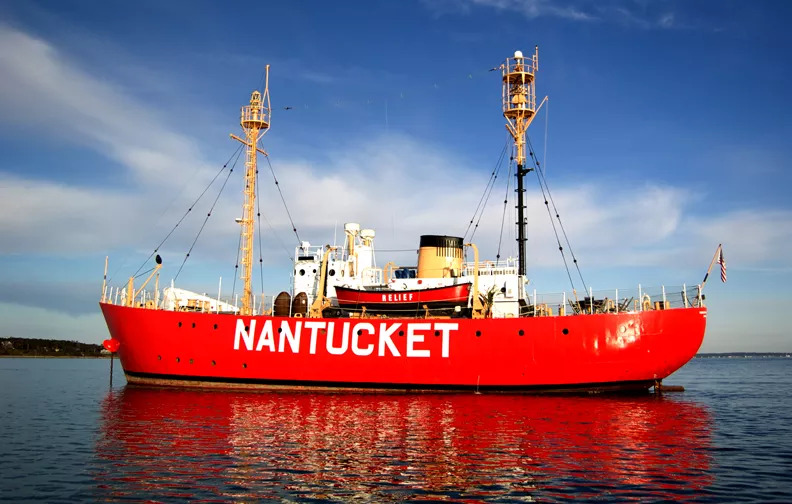 Once used as a floating lighthouse, this 128-foot-long, 30-foot-wide vessel was purchased by the current owners for $126,000 when it was in a dilapidated state, and after restoring it in a way they say is meant to serve as "a new model for historic marine preservation," it is now up for sale for $5.2 million.